the Ruskin Seafood Festival, South Hillsborough’s largest event, has managed to keep its community focus. Seafood is, of course, the star of the show, but the festival offers so much more for young and old alike. Mitch Traphagen file photos. Mother Nature was, apparently, somehow scheduled into one of the many planning meetings held by the SouthShore Chamber of Commerce leading to the 26th annual Ruskin Seafood Festival taking place at E.G. Simmons Park this weekend: The weather is forecast to be Florida perfect with highs around 80 and lows in the upper 50s. When much of the country is preparing to shiver, there could be no better way to celebrate a weekend in paradise than enjoying some of the bounty of the seas under blue skies and a tropical sun. It is South Hillsborough’s festival — an event that is looked forward to each year for so many reasons: It heralds the end of summer and almost always beautiful fall weather, the seafood and a riot of color involved in bounce-houses, bungie jumps and other children’s entertainment venues and the many vendors that populate the paths through the festival. 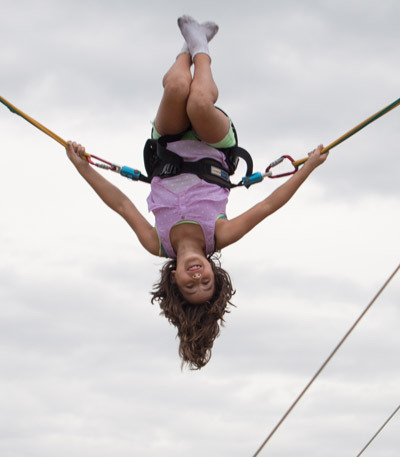 It is an event that kicks off the best of what living in Florida has to offer. This will be the eighth Seafood Festival under the direction of Chamber Executive Director Melanie Morrison. Morrison and her team have the basics down to a science or, at least, perhaps, a very fine art, but they are always looking toward adding something new and exciting to each coming year — and this year will be no exception. 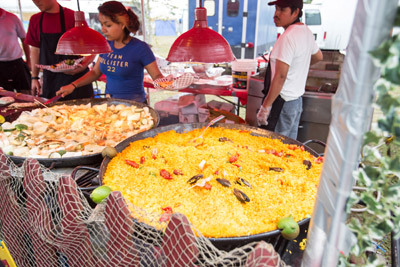 It is estimated that more than 25,000 people will visit the Seafood Festival this year, making it South Hillsborough’s premiere event and one of the largest in the Tampa Bay area. From more modest beginnings with booths and vendors crammed in among the tennis courts and a playground at what was Bahia Beach Resort, the event has grown considerably over the years. But one thing has remained a constant, and particularly so under Morrison’s direction. “This is a community event held for the community,” she said. If you think you’ve been there and done that with the festival, you really haven’t. The festival is a dynamic entity. “We try to adapt every year,” Morrison added. This year the festival will kick off with the first annual 5K run, beginning at 8 a.m. on Saturday, Nov. 1, at E.G. Simmons Park. “Our friends over at CrossFit Apogee have worked to organize that,” Morrison said. All participants will receive a free T-shirt, entry to the festival that begins after the conclusion of the race and two free beer tickets. And there are more changes and additions this year, with approximately 25 food vendors and 100 vendors overall making up the heart of the festival. Also, the children’s area is a continual work in progress as organizers strive to keep tabs with what families and kids would like to see and enjoy. And the trend toward healthy alternatives to seafood will continue — although it is the fried offerings that are far and away the most popular. Think of it as a vacation. And on the topic of food, one question is repeatedly asked. One big exception to that is the already mobile Mullet Shack, a popular stop on the weekends at the corner of U.S. 41 and Big Bend Road. The Mullet Shack is locally owned, operated and serves fresh, locally caught fish. The establishment has been a longtime attendee and supporter of the event. Almost certainly they will. 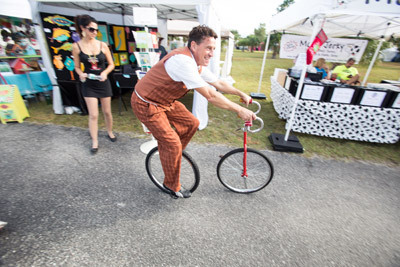 Despite the growth, despite all of the changes in South Hillsborough and even to the area’s largest event, the small-community feel in the region remains. It would be difficult to forget those who helped to keep it that way. The two-day 2014 Ruskin Seafood Festival kicks off this Saturday, Nov. 1, with the festival 5K run at 8 a.m. at E.G. Simmons Park in Ruskin. The festival itself opens at 10 a.m., with vendors open until 5 p.m. Live entertainment, the food court, and beverage offerings will be open until 8 p.m. The event then continues from 10 a.m. to 4 p.m. on Sunday. Admission to the festival is $5 for adults, with children under the age of 12 and active military members admitted free of charge. There is a $2 per carload county admission fee to enter the park. Free shuttles are provided from the parking areas to the main gate. The shuttles will run throughout the festival. 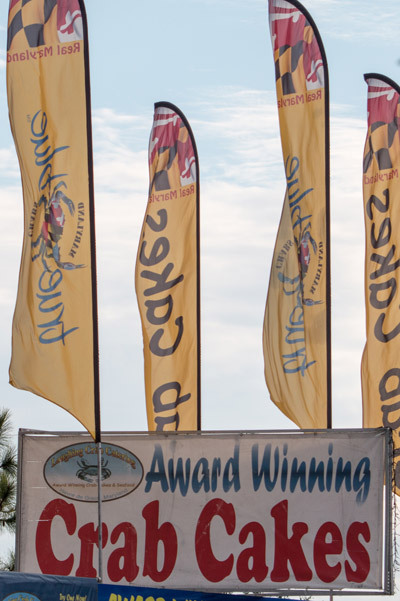 The Ruskin Seafood Festival is a pet-friendly event, although all pets must be on a leash. An ATM will be located near the food court, and restroom facilities will be provided around the pavilion. For more information, visit www.ruskinseafoodfestival.org or email the SouthShore Chamber of Commerce at events@southshorechamberofcommerce.org.